AACSB International, the world’s largest global education network, has recognized Wilfrid Laurier University’s Lazaridis School of Business and Economics and the Schlegel Centre for Entrepreneurship and Social Innovation for its commitment to creating and incubating cutting-edge business innovations and fostering entrepreneurship in the next generation of business leaders. The Lazaridis School is one of 35 business schools around the globe to earn this distinction and the only Canadian institution recognized by the AACSB for its university-wide entrepreneurship and social innovation programs. The school’s submission centred on Laurier’s Schlegel Centre for Entrepreneurship and Social Innovation, which guarantees superior experiential learning opportunities in entrepreneurship and social innovation that prepare students to be the highest-calibre business leaders and collaborators. “We are in the business of creating opportunities for everyone to learn about and try their hand at entrepreneurship, regardless of experience or skill level." 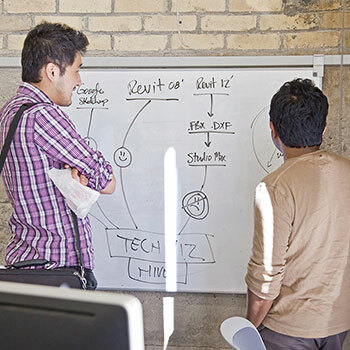 Working collaboratively with all faculties, the Schlegel Centre offers a wide range of entrepreneurship and social innovation programming across all faculties and available to all students. Activities and services include accelerator centres that provide training, mentoring and support to students, alumni and community members; social entrepreneurship programming targeted to non-traditional learners, women, and community participants; and maker-spaces, hackathons, design labs, prototyping workshops, and special events, among many other initiatives. Benham Rennick also noted that the Schlegel Centre and the Lazaridis School collaborate with a dynamic network of alumni, community and private-sector partners to support students and provide them with a deeply immersive and experiential learning environment. “Laurier has an astonishing global network of alumni entrepreneurs, business professionals and community leaders with over 96,000 members in over 100 countries, gratifying evidence that our motto of ‘Inspiring Lives of Leadership and Purpose’ resonates with students,” she said.